A Regions Bank employee was labeled the "Racist of the Week" by social media after posting on Facebook about President Barack Obama and his family. June Pridmore had been at the bank as the senior vice president of loan operations since 2008 but is no longer working there, according to the bank. 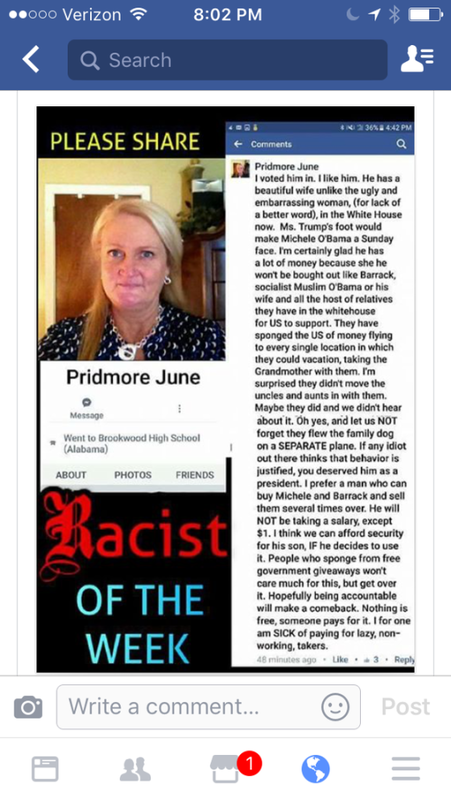 "I voted [Trump] in," Pridmore wrote, in part, in a Facebook post. "I like him. He has a beautiful wife unlike the ugly and embarrassing woman (for lack of a better word), in the White House now. Ms. Trump's face would make Michele (sic) O'Bama (sic) a Sunday face." 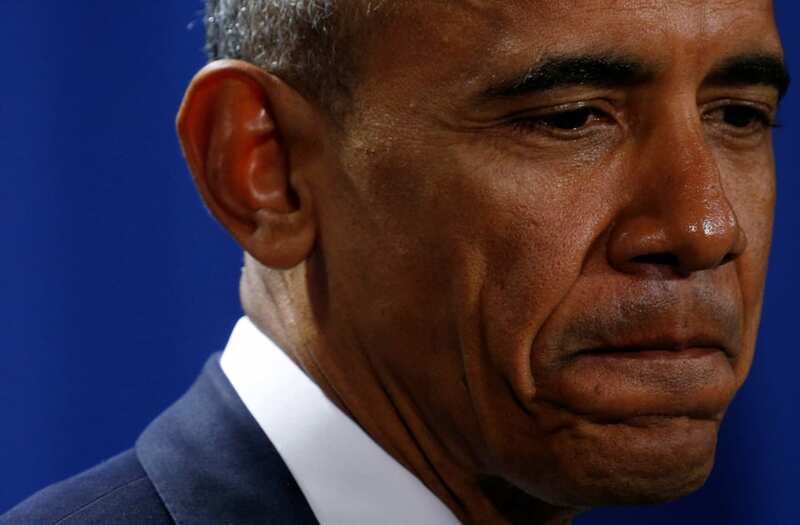 "I'm certainly glad [Trump] he has a lot of money because she he (sic) won't be bought out like Barack (sic), socialist Muslim O'Bama (sic) or his wife or all those host of relatives they have in the whitehouse (sic) for US to support," she continued before adding, "They have sponged the US of money flying to every single location in which they could vacation, taking the Grandmother with them. ....Oh yes, and let us NOT forget they flew the family dog on a SEPARATE plane. If any idiot out there thinks that is justified, you deserved him as president. "I prefer a man who can buy Michele (sic) and Barack and sell them several times over." After the comments sparked significant backlash, the bank launched an investigation. "We appreciate the concerns shared about offensive social media comments that were made through an associate's personal Facebook account. We want you to know that we share those concerns. Those comments do not reflect our values as a company or the way we do business. The associate is no longer an employee of the company," said Bank spokesperson Jeremy King.